Dr. Kimberly Cox is the owner of Southpointe Veterinary Hospital. She is a 2002 graduate of the Michigan State University College of Veterinary Medicine. Dr. Cox came to Southpointe in 1997, first working as a volunteer before vet school, then as a veterinary assistant during vet school, and finally as a veterinarian upon graduation. She became a partner in 2007 and took over full ownership of the clinic in 2010. Dr. Cox is a previous council member of the Southeastern Michigan Veterinary Medical Association (SEMVMA) . She has held multiple positions on the council including President in 2011. She is also an active member of the American Veterinary Medical Association and the Michigan Veterinary Medical Association. Her professional interests include dogs, cats, and exotics…especially birds and reptiles. She has a special interest in surgery and ultrasound. Her personal pets include a dog, cat, birds, ducks and tortoises. Dr. Rachel Brown brings over 7 years of emergency experience to Southpointe Veterinary Hospital. 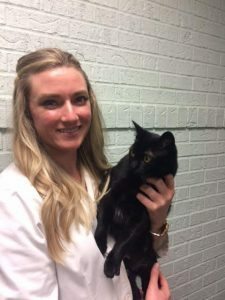 She grew up in the Kansas City area and attended Kansas State University where she obtained both her undergraduate degree in Biology and her Doctorate of Veterinary Medicine. After graduating from KSU, Dr. Brown began as an emergency clinician in Oklahoma and later in Texas. Dr. Brown moved to Michigan in February of 2013 and worked as an emergency clinician. She continues to do emergency work along with general practice. Dr. Brown enjoys managing complicated medical cases, working in triage situations and learning novel treatments. In her free time, she enjoys working out, cooking, reading, traveling and exploring Michigan. Dr. Adams began her career in the veterinary field working as a veterinary assistant and technician. She is a 2004 graduate of the Michigan State University College of Veterinary Medicine. Her Bachelor of Science degree was also obtained at Michigan State University in Zoology. Dr. Adams joined our staff in April 2017. 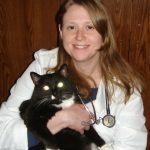 Prior to joining the team at Southpointe Veterinary Hospital, she worked as a small animal veterinarian for thirteen years in Farmington, MI. Dr. Adams is a Past-President of the Southeastern Michigan Veterinary Medical Association. She has been a member of SEMVMA since 2004. She joined the SEMVMA council in 2008, and continues to serve on council. Dr. Adams is also an active member of the Michigan Veterinary Medical Association and the American Veterinary Medical Association. Her professional interests internal medicine, dermatology, and dentistry. Dr. Adams loves interacting with clients and providing the highest quality care for their pets. In her free time, Dr. Adams enjoys spending time with her two sons, Tyler and Camden, and her boyfriend, Alex. She also enjoys cooking, traveling, bike riding, and attending her son’s sporting events. She has two cats at home, Arnold and Gus. 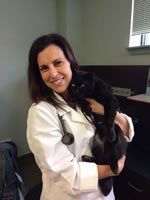 Dr. Swatek has been helping pets in the downriver area live happier, healthier lives for over 8 years. 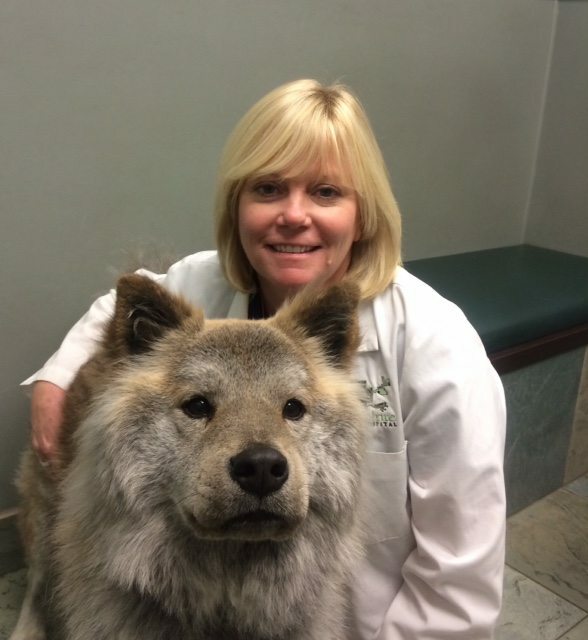 A downriver native, she obtained her Doctorate of Veterinary Medicine from Michigan State University in 2009. She also holds a Bachelor of Business Administration undergraduate degree from the University of Michigan-Dearborn. Dr. Swatek joined our staff in September 2017, and is excited to be surrounded by a staff of animal caregivers who share her passion and dedication to providing every animal with the excellent healthcare they deserve. She is a current member of the American Veterinary Medical Association, Michigan Veterinary Medical Association, and Southeastern Veterinary Medical Association. She enjoys working with cats and dogs, and also has a special interest in the unique needs of exotic animal species. In her free time, she likes to travel, attend rock concerts, and play with her cat Mr. Snarfles.